There has been some Imbabura seismic activity. 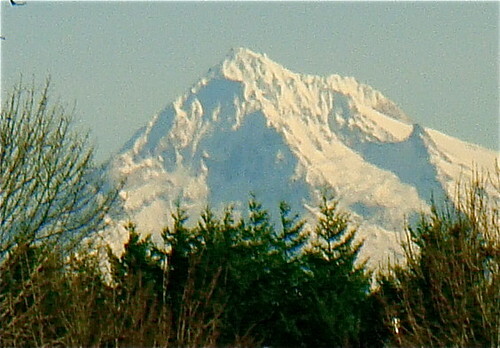 I grew up in Portland Oregon and each day I walked out my mom’s front door (she has lived in the same house for 50 years) and enjoyed this view of Mt. Hood which has volcanic and earthquake potential. In fact the Oregon Live website just reported this year: On the northern flank of Mount Hood, a scar in the earth’s crust stretches for several miles beneath the fir trees that hide it from airborne observers. So when Merri and I moved to Ecuador we did not think much about the fact that Ecuador is a volcanically active country. In fact we ended up with our home overlooking another volcano… Cotacachi. 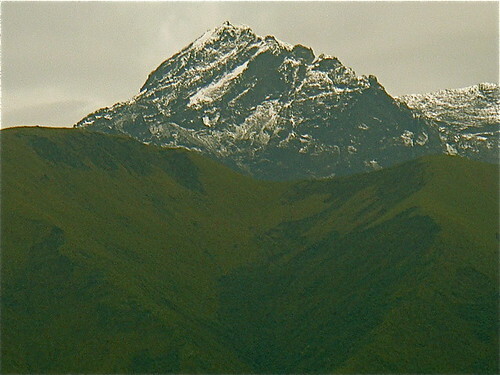 The equivalent geometry at Mt, Cotacachi from the front yard of our house and hotel look very much like Mt. Hood. I was always under the impression that Cotacachi, unlike Mt. Hood, was an extinct volcano. Apparently this is not so. There has been enough Imbabura seismic activity to warrant some concern. I have researched and posted a report on this at your Ecuador Living Club site. To read the report click here and use your password. To obtain or renew your password please click here.